Photo of Hogue (left) © Sylvain Gallais. 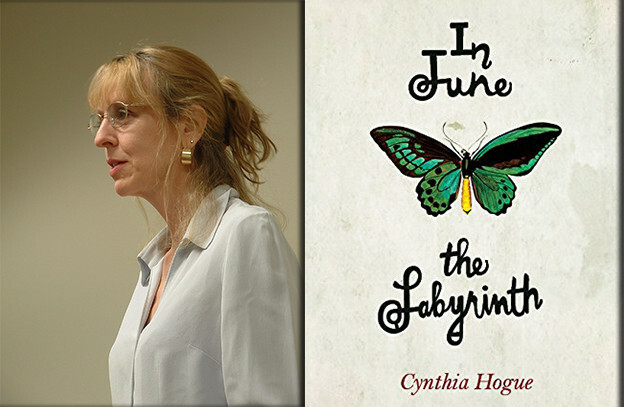 Cynthia Hogue’s In June the Labyrinth turns from the meditations on grief and loss Revenance illuminated with tact and grace to the dimensions of mortality itself. The book’s protagonist, Elle, at once a distinct personality and a compilation of formidable women, suffers, recovers, and dies by the series’ end. 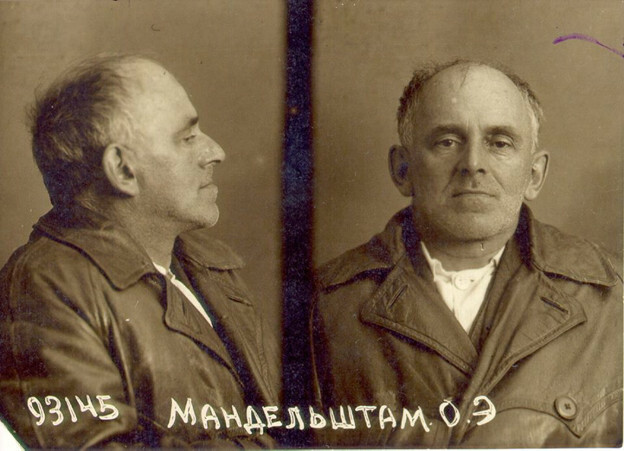 Osip Mandelstam’s mugshot after his second arrest by the NKVD, 1938. Via Wikimedia Commons. In describing life under the Stalinist regime in Russia, Nadezhda Mandelstam writes in her celebrated memoir, “To lose one’s memory — provided it was an honest one — is to lose touch with reality.” These words are especially profound from a woman famous for saving her partner’s words, the poems of Osip Mandelstam, by committing them to memory. And today, as we grapple with what it means to understand reality, Nadezhda Mandelstam’s words come to mind when not only memory ebbs, but facts themselves seem elusive. In describing life under the Stalinist regime in Russia, Nadezhda Mandelstam writes in her celebrated memoir, “To lose one’s memory — provided it was an honest one — is to lose touch with reality.” These words are especially profound from a woman famous for saving her partner’s words, the poems of Osip Mandelstam, by committing them to memory. Image at right courtesy of James Pate. 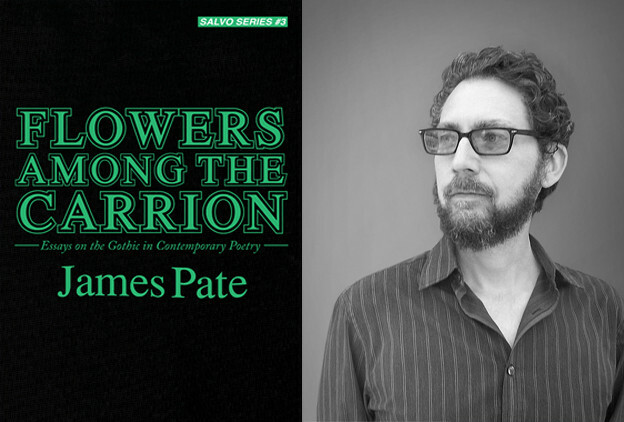 “Poetry tends to be smarter than philosophy and critical theory.” So writes James Pate in the terminal essay to his Flowers Among the Carrion: Essays On the Gothic in Contemporary Poetry. The occasion for this observation is a discussion of poetry’s relationship to materialism, especially as corporeal experience, simultaneously carnal and consciousness-haunted, constitutes the substance (as distinguished from the subject) of Feng Sun Chen’s work. Photo at left courtesy of Petra Kuppers. “Initiate, I greet you. 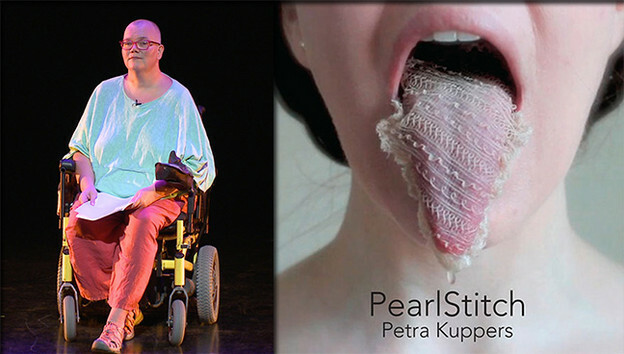 / Claim back the beloved’s bodies, for ourselves,” Petra Kuppers writes in PearlStitch, her sensual, rhizomatic new book. “We stand, and sit, and lie down my hand resting on your foot your hand in mine / head on shoulder” (51). Kuppers’s second full-length book of poems — which combines queer, crip, anticapitalist, anticolonial, and eco- poetics — intertwines ritual with epic, eros with documentation, and speculation with life writing. “Initiate, I greet you. / Claim back the beloved’s bodies, for ourselves,” Petra Kuppers writes in PearlStitch, her sensuous, rhizomatic new book. “We stand, and sit, and lie down my hand resting on your foot your hand in mine / head on shoulder” (51).